Discussion in 'Guitars in General' started by CC Overdrive, Apr 30, 2016. Fired Up! Scored a pretty sweet deal on a DA today. Hopefully she makes the trip to MA from Dallas in good shape. Been gassing for one of these for a very long time, and at $499, I feel pretty good about it. Time to thin out the heard a bit though. I'm afraid some of the old Pacificas will be slated for reassignment. cheapgtrs, David Garner, scolfax and 3 others like this. Damn, I've been dying for one of those and you got a hell of a deal... Nice! Funny, I have the same model incoming from A Reverb deal. Mine cost $100 more, but still seems a good price. I had a gold sparkle jet stream which I kind of regret selling. I'm really looking forward to the p90/hum bucket combo. Curious to hear your thoughts after receiving it. Congrats to us both! That looks a real beaut. Looking forward to hearing what you think about it. 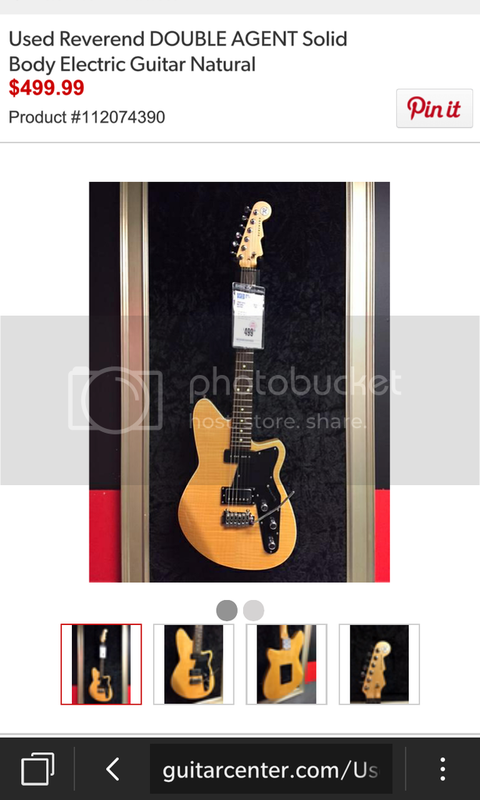 Glad you bought it because I was looking at the GC Used page like I do every few hours for Reverends, and that exact guitar is 2nd on my list of wants behind the Eastsider T. Great price too. You've removed the temptation! Enjoy! Steve Hotra and CC Overdrive like this. I play the same game, and have learned the hard way that if you sleep on a good deal, It'll be gone by the time you've made up your mind. I really really have been looking for an older model Volcano, but the pricing has been kinda outrageous. Heck, GC had the exact Volcano I wanted used, for a great price, but I failed to pull the trigger. ....lesson learned. I would have preferred black/black DA, but this was a great price, and I'm good w the color. Ive got one in white, its awesome! Its the one guitar i own that can do everything, and was perfect right away, no mods or setup needed. Congrats! Pups are hot, so you may need to adjust amp/pedals accordingly. What kind of music do you play with your DA? The neck p90 does beatles, indie and garage rock well, the middle position is surprisingly useful for rhythm too. The HB does great bowie/ronson all the way to gnr/pixies/etc. Nice price! I got a NOS Jetstream HB a couple years ago for not much more than $499 and am very happy with it. 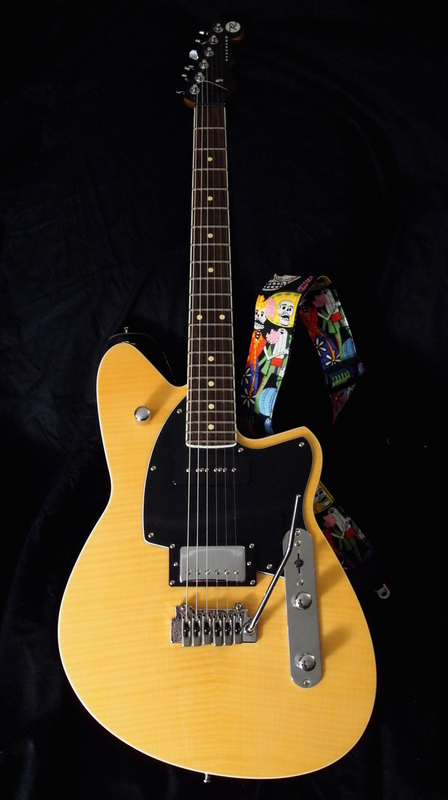 If you can get past the import element, Reverend makes a helluva guitar and is a great value. Those are awesome guitars, if you don't like it I'll be very surprised. I like mine a lot. Slightly different model, though not in any important way. Mine is actually sitting at my local GC. I wasn't able to pick it up today, the suspense is killing me! I have this exact guitar. I like it a lot but the bridge post hex screws stripped out very easily on mine. Reverend replaced them once but it happened again. I've never seen this before in any of my other instruments. It's like they are pot metal. The guitar really does sound great and plays pretty well even though I would to be able to lower the bridge a bit more. Affirmative. Just picked it up, and on my way to work. A very brief workout on a small peavey classic 30 before I left GC. That was my first experience with a P90. And lemme tell you, that is some hot secks right there.